Have we found the next internet? If you stopped 100 people on the street and asked them to name a technology in the past 20 years that has changed the world, it’s safe to assume that the internet would be a top choice. Yet if you ask people about the origins of the internet, many would have to pause for a second to think. In the 1950s, the internet was developed as a tool for military communication. It wasn’t until the mid-90s that the internet was adopted and commercialized for broader use. San Diego is used to seeing military innovations adopted for commercial use. In fact, many of the region’s largest and most well-known companies – including Qualcomm – were born out of military innovation. Now, a new technology is being developed for commercial use and San Diego, with its strong military history, trained talent, and diverse terrain, has a decent chance of playing a big role in something that has already began to revolutionize the world. 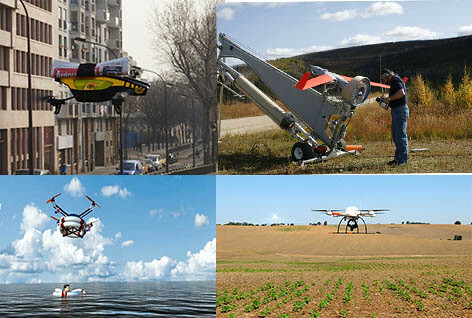 Unmanned Systems – or drones as they’re often called – have uses ranging from agricultural production to disaster monitoring and wildfire fighting. Recognizing the importance of unmanned systems, the FAA has issued a call to establish six test sites across the country, with a goal of working to integrate this technology safely into our airspace. A recent study from the Association of Unmanned Vehicle Systems International found that California was poised to gain 18,161 jobs if they created a test site- more than any other U.S. state. This does not even take into account the impact of non-aerial unmanned systems for marine and farming use, which will help create even more jobs. The industry would pump approximately $90 billion into the economy in the next decade, generating an estimated $70 million in tax revenue. In partnership with San Diego Military Advisory Council, EDC and other San Diego partners joined the CAL UAS portal. The proposed testing site would start at the U.S./Mexico border and run from Bridgeport to the North and to the Arizona/Nevada border to the East. The regulations do not allow testing within a 30-mile radius of installations including Lindbergh Field and McClellan-Palomar Airport, meaning most of San Diego’s metro airspace will not be included in testing ranges. San Diego is at a significant advantage. Not only do we have one of the most diverse testing sites in the U.S., but we also have a strong private sector that would help support a testing site. Companies such as 3Drobotics, Northrop Grumman, General Atomics and 5d robotics provide a well-qualified talent pool to help the sector thrive. Maybe 10 years from now, if we ask people about a technology that has profoundly impacted society, unmanned systems will float to the top of the list. 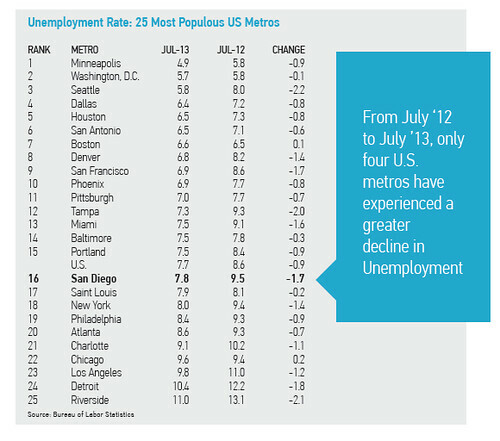 Our hope is that when it does, San Diego is thought of as a leader in this field. 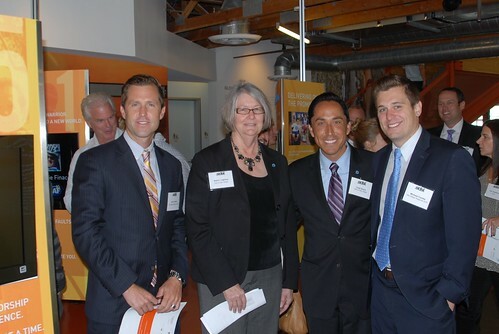 More than 80 business and industry leaders gathered at the Challenged Athletes Foundation to mark the launch of San Diego County's Sports and Active Lifestyle Cluster Report, which quantified the impact of the cluster for the first time. In order to celebrate the industry and learn about challenges, a panel of sports innovators and experts who included John Sarkisian of SKLZ, Peter Callstrom of San Diego Workforce Partnership, and Stephan Aarstol of Tower Paddle Boards, spoke about a variety of topics related to the cluster. Opening remarks from Interim Mayor Todd Gloria and Council President Pro Tem Sherri Lightner emphasized the importance of the industry to both the region's economy and cultural identity. Funded by San Diego Workforce Partnership with assistance from San Diego Regional Economic Development Corporation and San Diego Sport Innovators, the study found that the economic impact of the region’s SAL cluster is equivalent to hosting four Super Bowls annually. With more than 1,200 businesses representing approximately 23,000 employees, the industry’s presence on the regional economy adds $2.24 billion in economic activity annually. From 2012-2013, the employment in the sports and active lifestyle cluster outpaced that of the entire county, growing 3-5 percent in the SAL cluster, compared to 1-2 percent growth in San Diego County. Overall, the industry accounted for 1.3 percent of the region’s economy in 2011. Home to miles of beaches and favorable weather, the study also concluded that San Diego’s natural assets are one of the reasons the region has excelled in forming this cluster. As part of the workforce assessment, the study surveyed numerous local companies to determine their employment needs. With 32,407 jobs dependent upon sports, active lifestyle and recreation related activities, cultivating a strong workforce is essential to growing the industry. 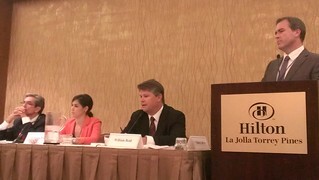 “As a unified region, our goal is to forge partnerships with businesses, universities and government to ensure that companies continue to find the talent they need so the region can retain its share of the sports innovation industry, ” said Peter Callstrom, president and CEO of San Diego Workforce Partnership. In order to continue grooming the industry for growth, the report concluded with recommendations for helping sports innovation companies thrive including supporting entrepreneurial skills and strengthening cross-border ties for manufacturing partnerships. Check out the executive summary and complete study for more information. More pictures from the event can be found here. In 2012, the San Diego region raked in upwards of $1.1 billion in venture funding, beating Texas, Colorado, the DC Metroplex and other locales. At the San Diego Venture Group’s Annual Venture Summit on July 12, participants will be able to interact with more than 120 VCs and 30 “cool” companies. For the second year in a row, the Venture Summit will include 30 San Diego “Cool Companies.” From social media to software and algae biofuels, companies making this year’s roster include Roambi, Sapphire Energy, and Embarke. 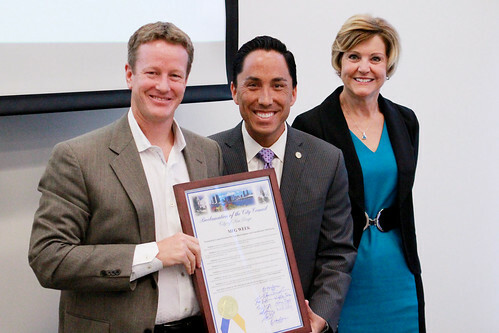 They are indicative of the dynamic industries that fuel San Diego’s innovation economy. Venture Summit is not the only venture-related activity that’s happening in San Diego on July 12. On that day, companies from around the globe will hand in their submissions to present at WBT Innovation Marketplace. Now in its 11th year, WBT Innovation Marketplace brings together the largest collection of vetted and mentored companies and technologies emanating from top universities, labs, research institutions, and the private sector. More than 10 years of research shows that one in three WBT presenters goes on to license, secure venture funding, or sell their IP outright. Last year, the show moved from Arlington, Texas to San Diego, so it could benefit from the region’s world-class talent pool and strong venture capital community. Companies are invited to apply to present at the Oct. 22 showcase. With all of the venture activity going on throughout the region, it’s no wonder San Diego has been identified as a high-tech challenger to Silicon Valley. The cornerstone of a successful economic development program is having strong data to ensure that we are making informed decisions about growing the economy. At EDC, we have been fortunate enough to partner with and benefit from the countless area organizations, companies and universities that have provided substantial economic data. Although we don’t see these partnerships slowing down, with the launch of our new research bureau, we will be putting out a quarterly snapshot of our own. We’ve heard countless times that San Diego has a strong VC cluster, a healthy tourism industry, and a world-class talent pool, but as we strive to make our region globally competitive, we want to know how we stack up with other metro areas. Our Q1 snapshot is our data-driven approach to answering that question. The quarterly snapshot will report on key economic metrics that are important to understanding the regional economy and San Diego's standing relative to other major metropolitan areas in the U.S. Please take a look, share with friend and colleagues, and let us know what you think.